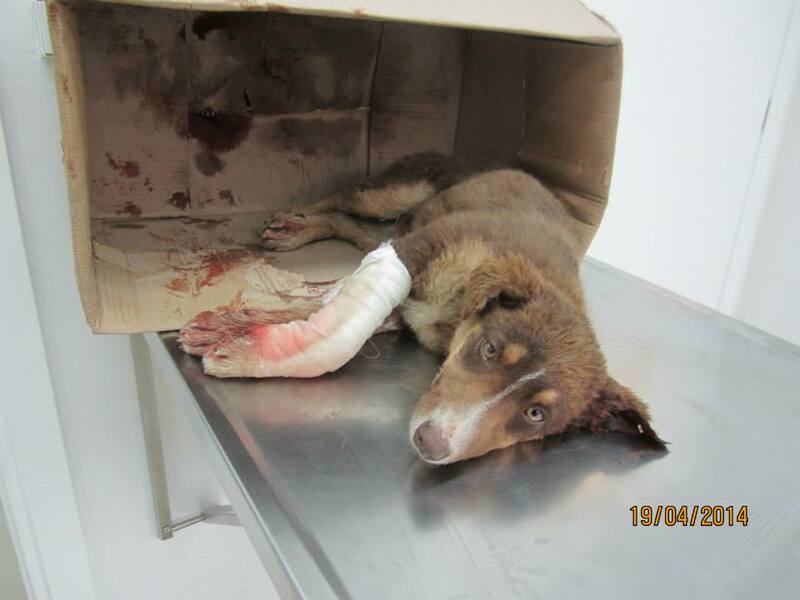 Two weeks ago Andjeo Sarajevo, animal welfare charity in Sarajevo, Bosnia Herzegovina, found this little dog lying in the middle of a busy intersection, lying immobile with blood everywhere. 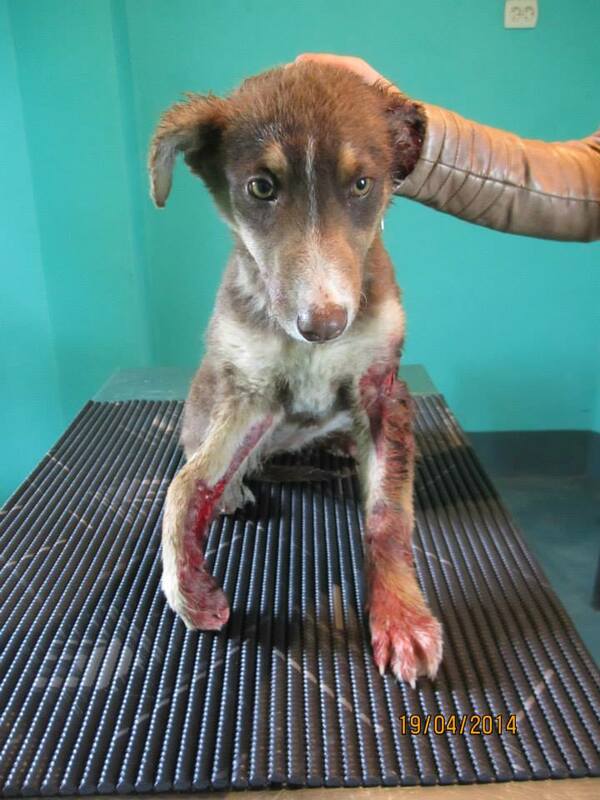 They immediately stopped the car and rescued her, a 3-4 month old puppy with a very serious open fracture of her front leg and her other leg with skin all peeled back, her ear all torn up. 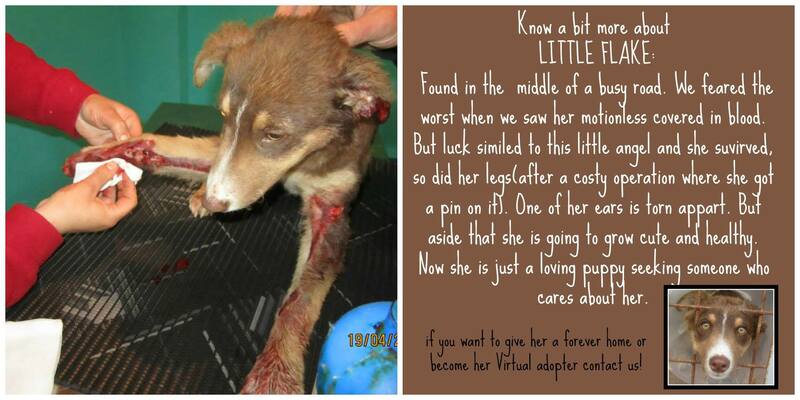 They took the puppy to the vet and she got the urgent help she needed. Unfortunately her ear had to be amputated. X-rays were taken of her legs. 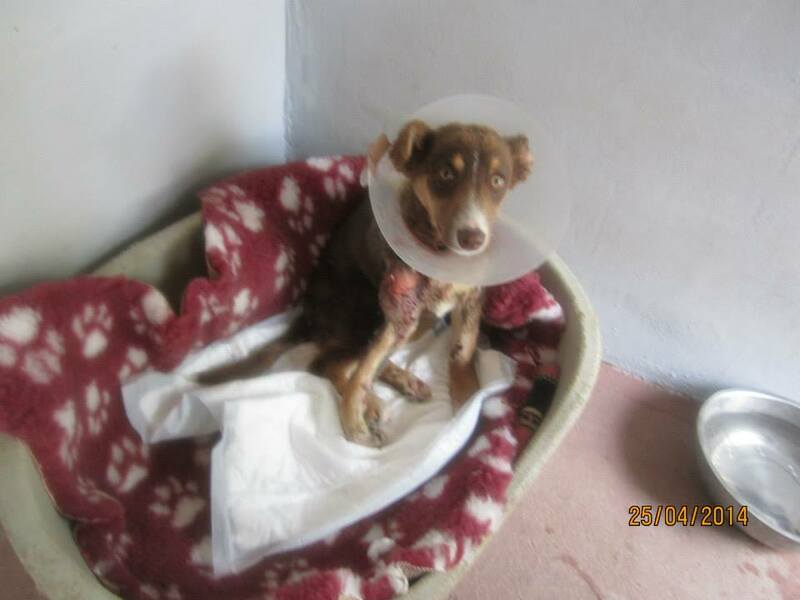 She was operated on and the operation was successful, and funds raised to cover the cost. She is now at a pension (boarding kennel) and was named Little Flake. 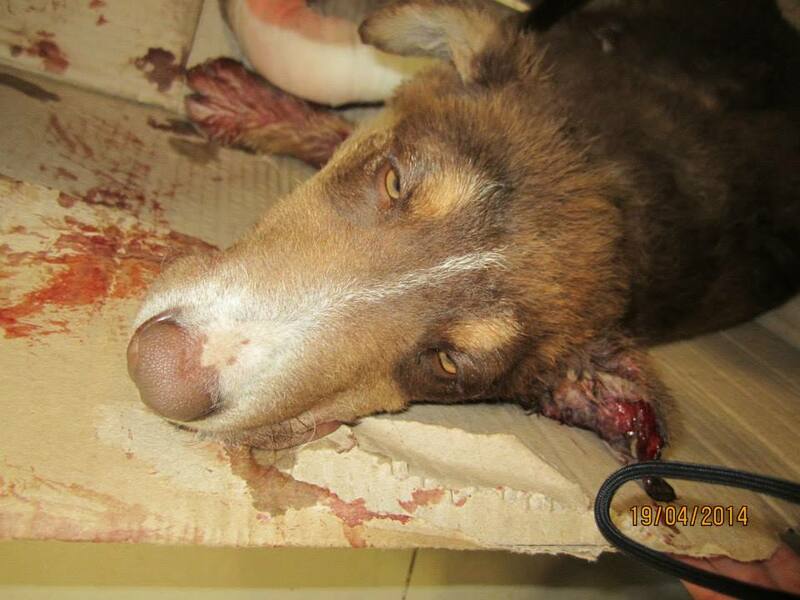 Funds are needed to keep her safe off the street and for medical care. The pension costs 120 euros a month (about 165 USD). 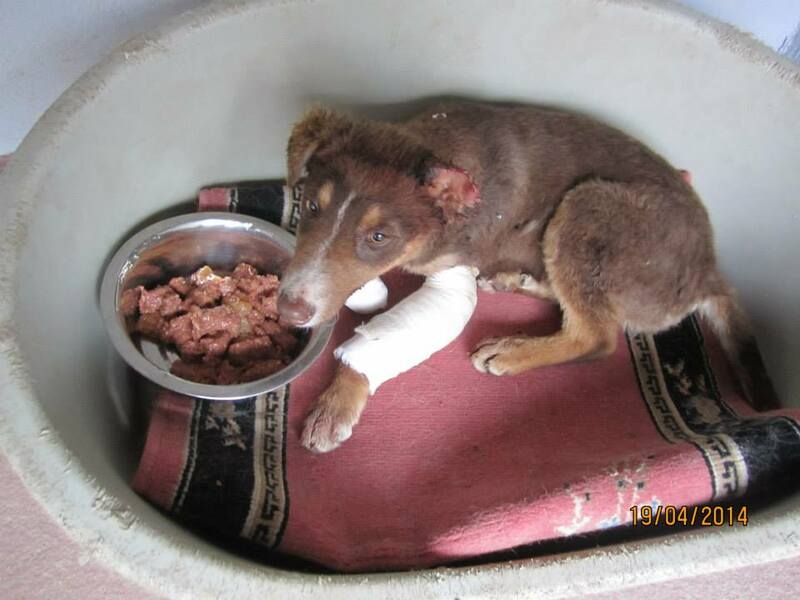 If you can help, please scroll to the end of the page for donation instructions. 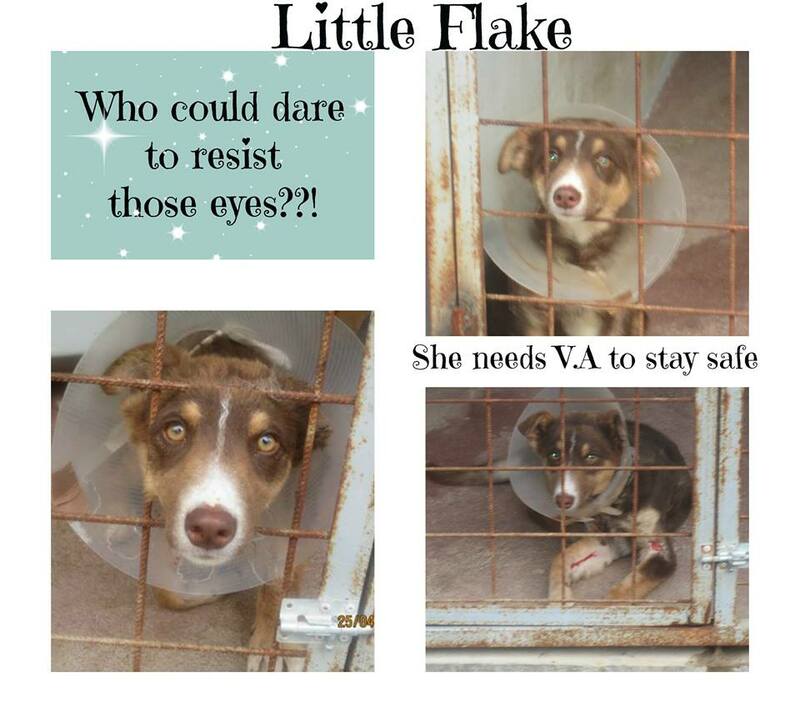 We also have a Virtual Adoption programme, where you can help keep Little Flake safe off the streets until she finds a permanent home by donating a specific amount each month. There are several rescues needing this kind of sponsorship. When you become Virtual Adoptor for a rescue from Bosnia Herzegovina, you will not only help keep the animal safe and off the streets, but will create a special bond. We understand that not everyone can adopt; which is why becoming a Virtual Adopter for one of the rescues whose pictures and story touched you is a wonderful alternative to adoption. The bond formed through this virtual adoption program will keep you connected to the progress of your chosen rescue, and hopefully, you will see them find their wonderful forever home. 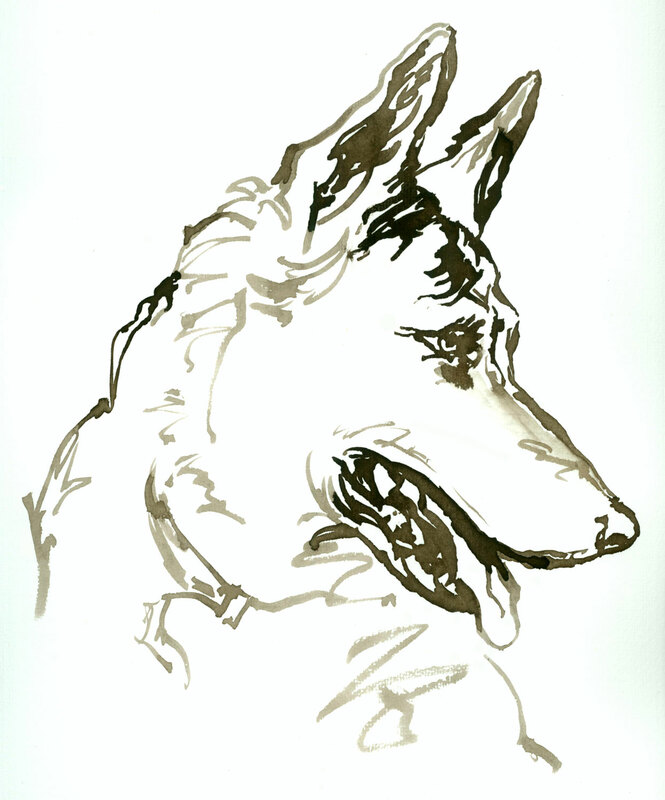 Most dogs need 120 euros per month to stay safe off the streets, so we were thinking to set 6 VAs per dog at 20 Euros (about 30 USD) each per month. But we understand that not everyone can reach the set fee. Another option would be for you to offer per month the amount you can afford ad we will continue to look for VAs for that dog until the “goal” is reached. For details of what dogs and cats are available for Virtual Adoption please go to ‘Notes’ in our AWAB Facebook public page and read the Virtual Adoption Note or go to Files in our AWAB Facebook group and read the Virtual Adoption document (you need to be a member of this group to view the page). 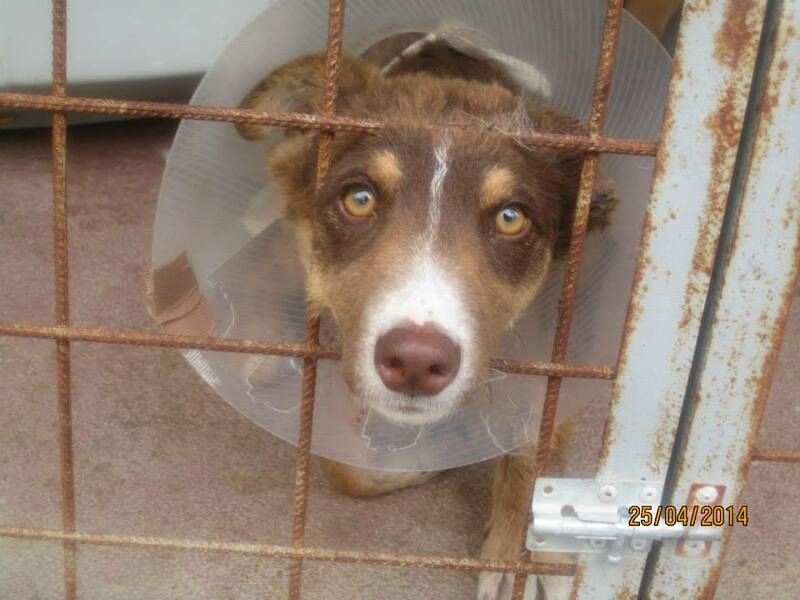 For more details you can also contact Encarni Erzsebet who is the AWAB administrator managing this programme and if you do decide to be a Virtual Adopter you must contact her directly. 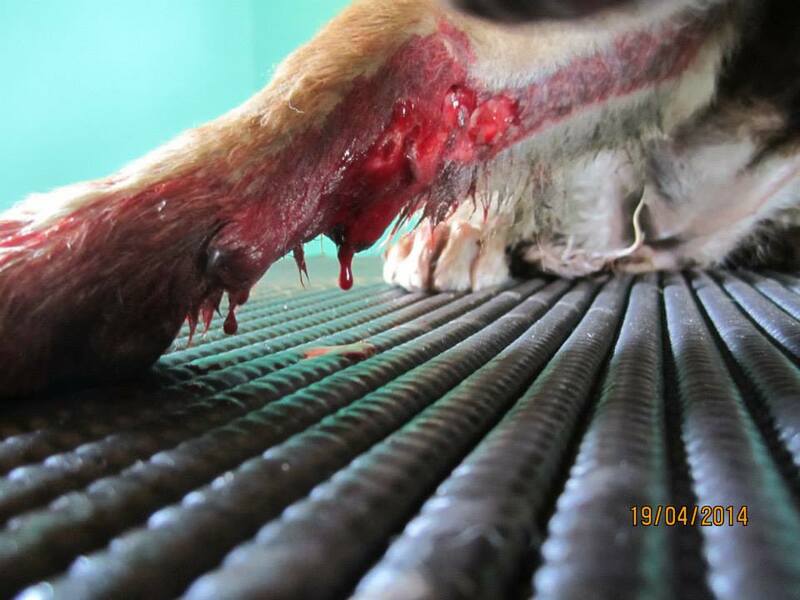 This entry was posted in Dogs needing home, Fundraising, Uncategorized, Urgent - dogs needing help and tagged Bosnia-Herzegovina, virtual adoption by Sandra Jensen. Bookmark the permalink.